It feels great to be a part of a Maharashtrian family as I get to celebrate so many unique festivals 🙂 As you all know by now I’m born & brought in Pune but all my ancestors from Mom & Dad’s side were located in Konkan, Sindhudurg. The district is named after the fort of Sindhudurg (which means “fort in the sea”). 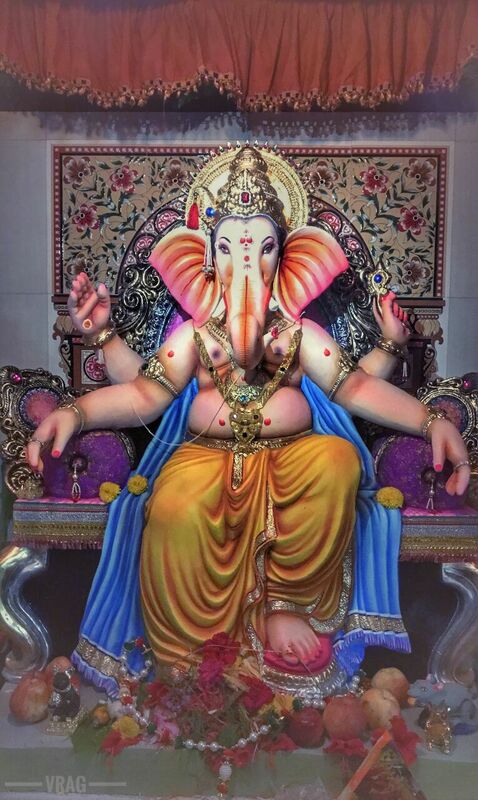 Lord Ganesha is the first God we Hindus worship for any special ocassion. Anyways let’s head towards the main topic guys! I am back again with the fun blogging series #festiveblogging with my blogger gang girls for #ganpatiblogging. 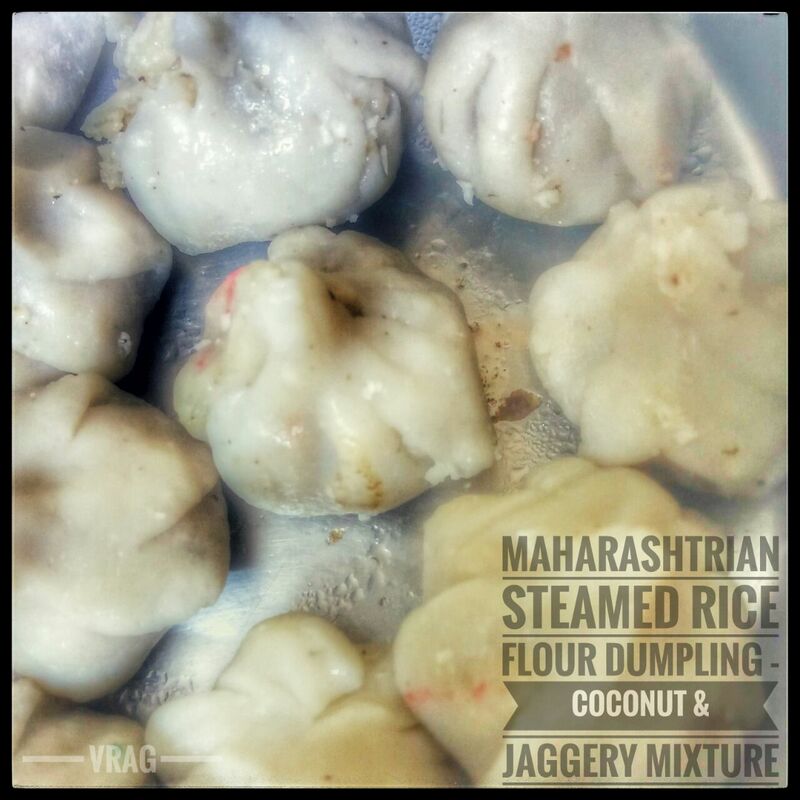 People have migrated to mostly Mumbai & lesser ones in Pune too to earn a livelihood. They come to visit their parents & relatives here for different occasions around the year. One special festival is Ganesh Chaturthi so there is a huge crowd here in these 10 days. 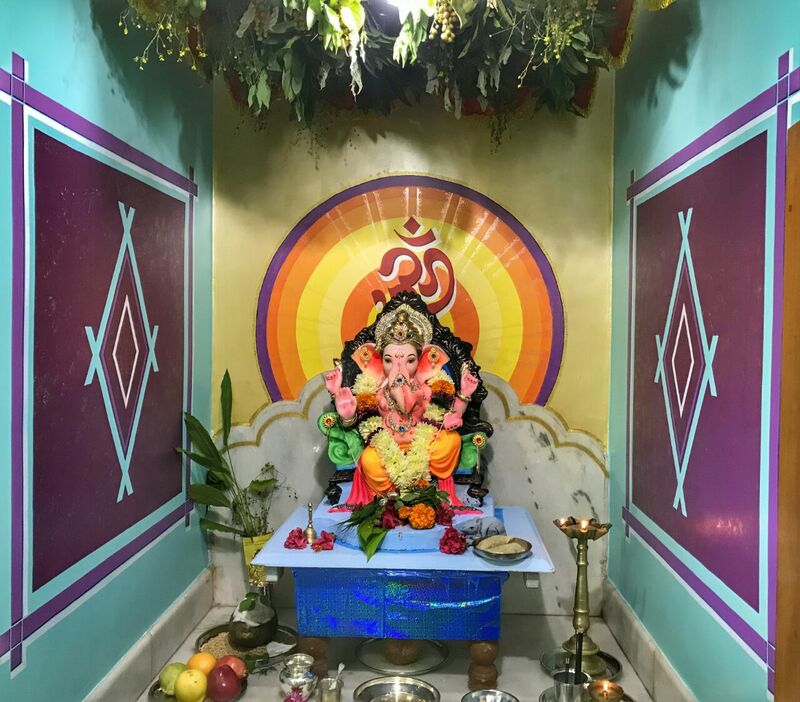 Pune is famous for Sarvajanik (Public) Ganpati Pandals (structure set to venerate Ganpati or Lord Ganesha), Konkan is famous for Home Ganpati (ChakarMani). 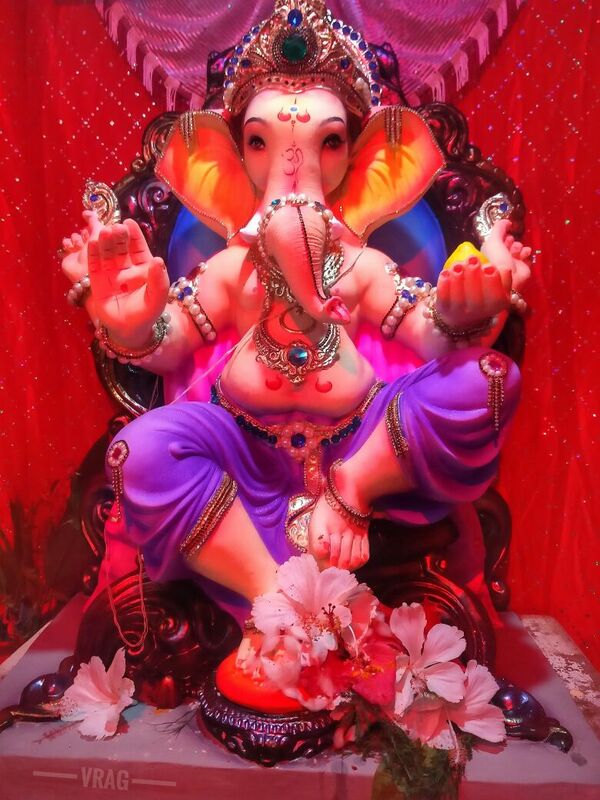 It came to my notice that, Ganesh Festival here is different from Pune by every mean. 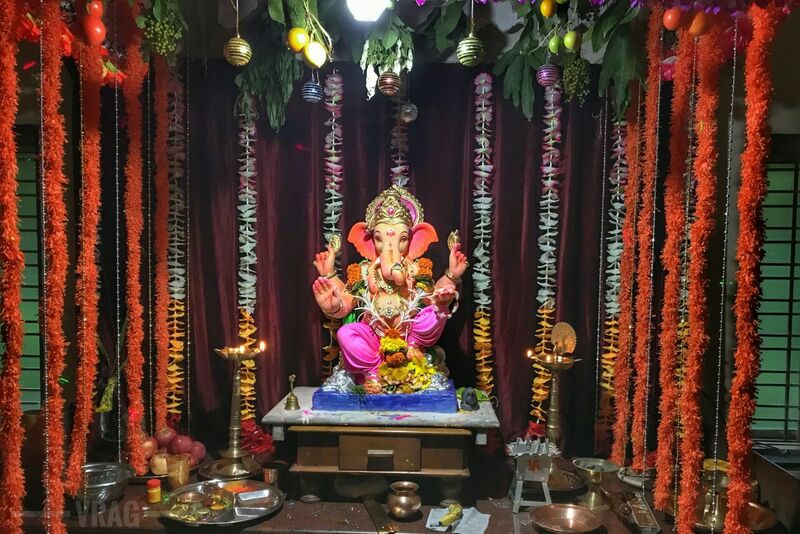 In Pune, it was started in 1894 by Bal Gangadhar Tilak who initiated the concept of the “Sarvajanik Ganeshotsav” (Pandal Ganpati). Each house is filled with aromatic fragrances of incense sticks & each night a gang of girls & boys with middle-aged people & old ones visit each house in the village for “Bhajans” with each day having different prasad. After every Bhajan is done kids lit crackers, now there is an interesting fact which I came across during this festival, the paddy crops don’t get ripen during monsoon. Hence, there is no harm in crackers used on the land. But in Diwali, the paddy crops get ripen and there is a lot of risk in bursting cracker. If a single bursting cracker enters the paddy crop then the entire crop will burn in this process, so this is the only season kids only & wait for eagerly each year. 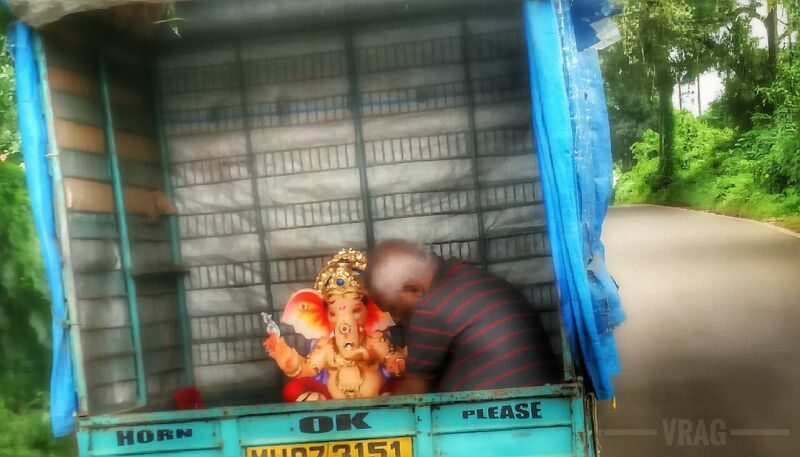 With rhythms of ‘Bhajan’, dance and prasad distribution, devotees of Lord Ganesha bid adieu to the God. beautiful pics, even I post every year Ganesh Chaturthi pics, I love clicking the different moods and beauty of Lord. Bappa is everyone’s favourite 🙂 Thank you for this beautiful appreciation.